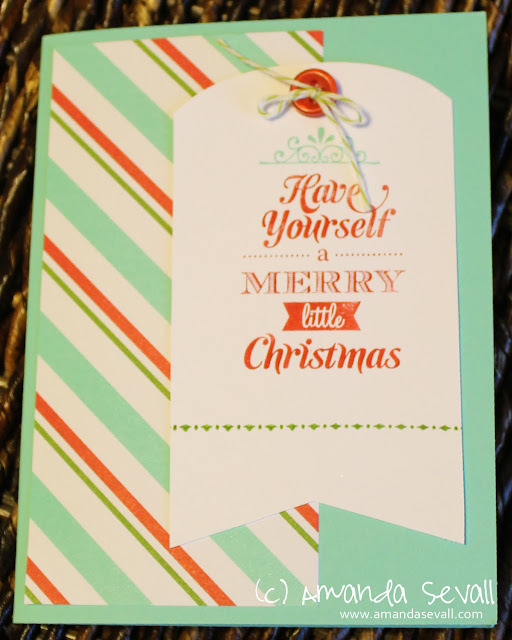 I often buy the Simply Sent card kits. I usually do that because (a) they are so darn cute, (b) I'm slightly overscheduled (& most of the work is already done for me with these), and (c) I like to challenge myself to alter them. 1. Make the card as intended. 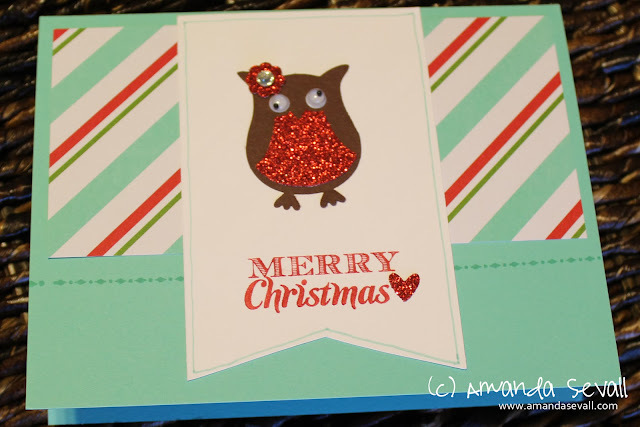 I whipped together this particular card in about 5 minutes.... just stamp, glue and you are ready to go! 3. Use different embellishments. 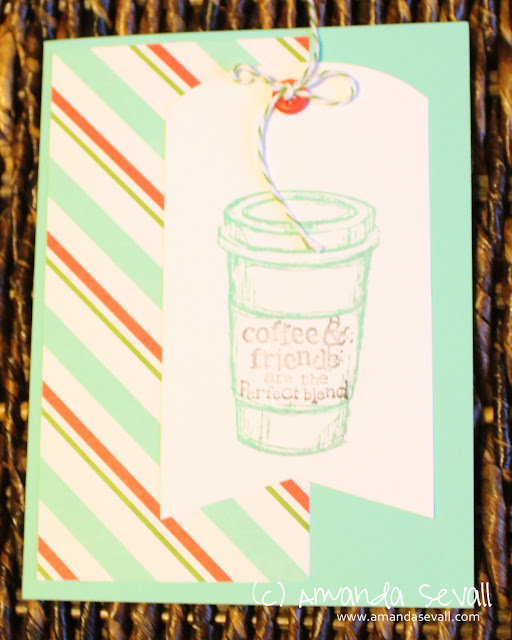 For this card, I used the same stamp set, but swapped out the button and baker's twine for a heart punched from red glimmer paper. 4. Cut up the parts and pieces. 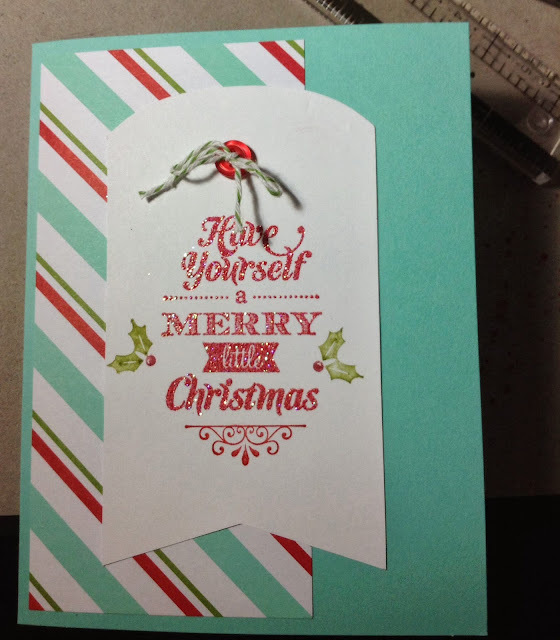 For this one, I decided I wanted some of that cute paper from the envelope liner. 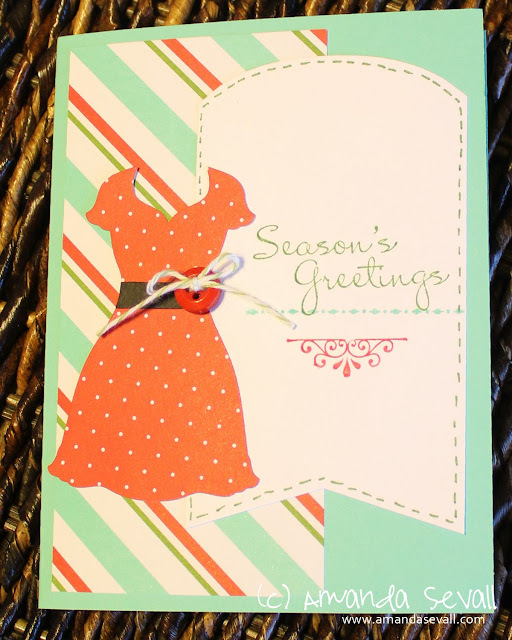 So no more envelope liner.... used it now to dress up the card.... literally! My upline Zarogina made this beautiful card. 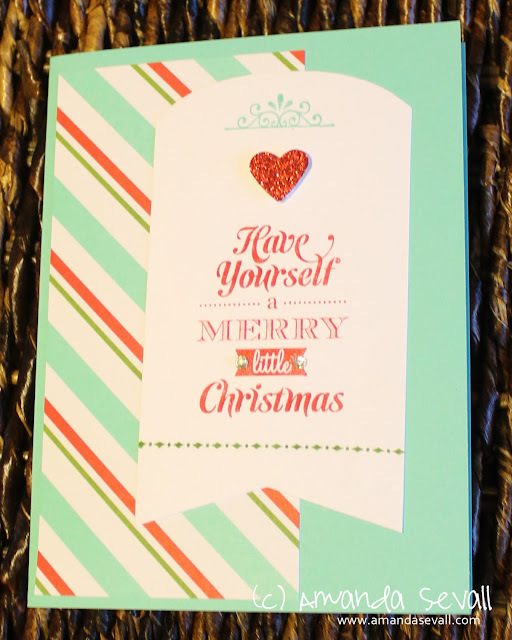 She used red embossing powder mixed with dazzling diamonds to make the sentiment really stand out! Isn't it awesome?! :) Please go tell Cindy on her blog! And while you are there, check out all her awesome kid art, Project 41, beautiful scrapbook layouts and cards! Aside from being totally practical time-savers, these card kits are very cost-effective and are also a great launching pad for playing with the supplies. That's the main reason why I always want to keep them on hand! Wow - I love seeing all the different ways to use the same card! I hadn't realized until just now that my white tag is upside down from the way it was intended! This really shows that there is a lot of room for creativity, even with a simple kit.